According to the most recent information from the McKinsey Global Institute’s studies of the Gig Economy, up to 68 million people participate, in some form or fashion, in independent work in the United States. Of that 68 million, 32 million are estimated to contract independently as their main source of income. In the last 20 years, the number of Gig Economy participants has increased by 27% more than payrolled employees. In some sectors, the Gig Economy is already eclipsing traditional employment options. In Nashville, for instance, it’s impossible not to notice the absence of cabs in favor of Uber and Lyft. This data, and other highly publicized studies and analyses, indicate that in the near future independent contracting options will match, if not eclipse, options for traditional employment. As it stands, none of these workers will have access to a reasonable retirement plan outside of traditional Solo 401(k)’s and IRA’s, which have administrative costs that can discourage them from investing in their retirement. The financial picture for a full time independent contractor is not one of desperation, but it does fall significantly below the national average. It’s estimated that the average annual income for a full time Gig Economy participant is $20,000 below the annual average for traditionally employed individuals. Making less money is not the only challenge these workers face; income can also be inconsistent, since it depends on the individual’s level of participation and the strength of the target market. Those challenges would be enough in themselves to curb retirement investment, but independent contractors also have to contend with the lowest benefit availability, across the board. 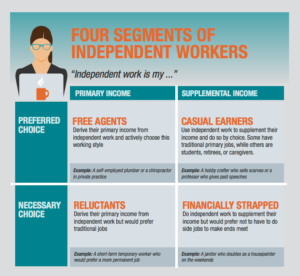 According to an analysis by Prudential, Gig only workers have the least access to long and short term disability, vision, dental, medical, and life insurance, along with any other benefit you could care to name. These financial concerns, compounded with a lower average income, make it nearly nonviable to contribute to retirement savings with the retirement options as they stand. Currently, the only real options for independent contractors to save for retirement are solo 401(k)’s or IRA’s. For the purposes of this piece, we’ll focus on solo 401(k)’s. There are multiple options for Solo(k)’s out there, but the five most popular are provided by Fidelity, Vanguard, Charles Schwab, E-Trade, and TD Ameritrade. 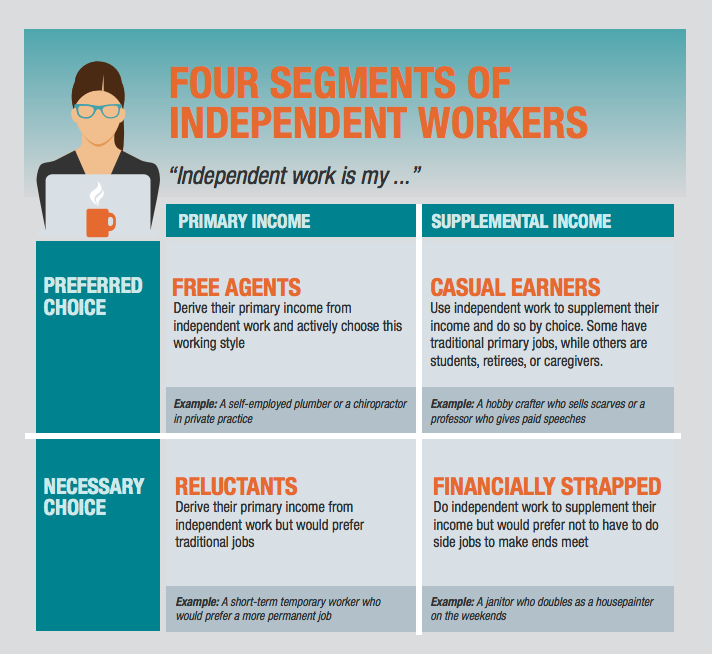 There are two drawbacks to investing in this type of retirement plan for independent contractors; administrative fees for Solo 401 (k)’s are much higher than in employer sponsored 401(k) plans, and the generally lower income of Gig workers means that their retirement horizon is either much further away or their standard of living will be necessarily lowered to meet their retirement goals. One way to address this is to invest in higher risk funds. If a later retirement age is acceptable, higher risk funds can pay off, with the idea that the participant has more room to ride the market’s ups and downs. For a group of workers without benefits, however, this approach could be hard to stomach. In the case of an unexpected expense, high risk funds could impede the participant’s ability to take a loan against their account. The solution to this problem is to provide a retirement plan with fees that are comparable to sponsored retirement plans and enrollment and loan options geared toward those with lower or inconsistent income. Those options exist in the TAG Resources Retirement Program Solo(k) Solution. 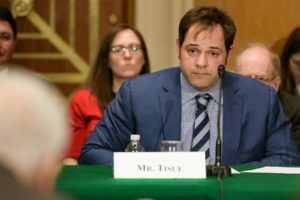 Troy Tisue, President of TAG Resources, participated earlier in the year at a Senate hearing and round-table discussion on the Gig Economy with emphasis on retirement plans, benefit options, and other human resources concerns. For more information on the TAG Resources Retirement Program Solo(k) Solution, contact us at info@tagresources.com.